You seek a career that is dynamic, influential and exciting. You are courageous, independent, curious, open-minded, and like to communicate. Your engagement with society, your country and the world makes you want to make a difference. 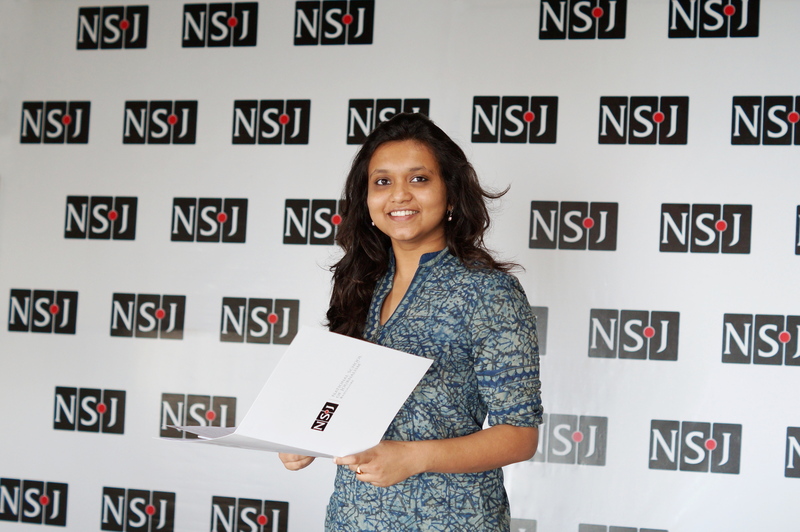 Begin your life as a journalist at National School of Journalism, Bangalore (NSoJ). As a student in our 11-month Postgraduate Diploma in Journalism (P.G.D.J.) programmes, you will learn how to think critically and be an ethical and street smart journalist. Experienced instructors will offer one-on-one critiques and intensive feedback on your assignments, which are designed to challenge your understanding of key concepts and require application of course theory. Guided by our training, you will be fully prepared to tackle your career with the knowledge and confidence to excel. In this 11-month P.G.D.J programme you will acquire skills for a career in television, radio and digital broadcast media. This is a hands on course and the students are given ample time in the studio and on-field reporting in order to get a firm grounding in this popular and powerful medium. We take a holistic approach to digital news and cover the many different aspects involved to equip students with the necessary skills for the workplace. In this 11-month P.G.D.J programme you will be trained for a career in traditional newspaper and magazine journalism as well as in convergence journalism, which is the future of news media, combining print photography and video into one digital piece. Upon completion of the course, you will be able to demonstrate versatile skills in writing, interviewing, investigation, photography, video and more, while showing a deeper understanding of both personal and societal values. An NSoJ postgraduate diploma in journalism will enable you to do the following. You will be trained to write, film and narrate the most relevant stories of our time, from deadline reporting to profile writing and documentary features. In less than one year, you will develop skills and knowledge that take years to build in the field. Bangalore city is India's most cosmopolitan city. It is a cultural melting pot as well as a world leading technology city, making it a great place to learn how to report and to connect with innovation that is shaping journalism's future. You will contribute to and produce our in-house print, broadcast and digital publications. While our programmes are primarily designed for careers in the English language, we encourage student journalists to pursue careers in Indian regional languages in which they are interested and proficient. Each year, up to 20% of our total class strength comprises promising students seeking to pursue a career in vernacular journalism. We also place our students in regional print and broadcast media houses. Our admissions process is extremely selective to pick out 60 of the brightest and best candidates every year. Our students are carefully chosen for their potential to be agents of transformation and to have successful careers in journalism. You will be guided by a high-level career services team who have deep and extensive industry connections, and you will have excellent career prospects. Our commitment is to help each of you find not just any job but the right journalism job to exhibit your commitment, talents and strengths. Postgraduate Diploma in Journalism programmes in Broadcast Media and in Print & Convergence Media are open to (i) applicants who already have an undergraduate or bachelor's degree or (ii) applicants who are final year undergraduate or bachelor's degree. The field of journalism thrives on diversity, and benefits from a multiplicity of experiences and viewpoints. We encourage applicants from a wide range of professional and educational backgrounds. Prior education or professional training in journalism is not required. 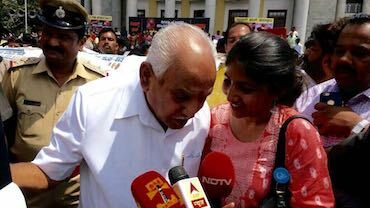 Admissions to National School of Journalism, Bangalore (NSoJ) are very competitive. Our selection panel must choose from a large pool of well-qualified candidates. Selectors will also take into consideration academic and relevant extra-curricular achievements and any prior journalistic work such as published articles, blog posts, podcasts or other broadcast material. Admission Application Forms can be accessed by clicking here . On registration, you will receive a user name and password, which you can activate from the email address that you provide. Once registered you can login and start your application form. Should you encounter any technical difficulties or need help, please contact us. We strongly encourage applicants to apply online. If you would, however, prefer to submit your application in physical form, please contact us and we will email you the form. Your journalism education begins with a 10-week skills training module called 'Writing and Reporting'. In the first term, all students take the following courses. 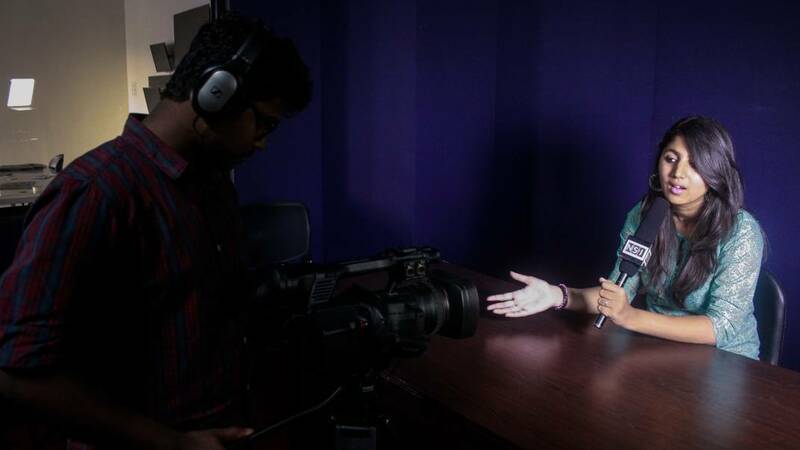 You will take classes in voiceovers, scripting, anchoring and making run-downs. You will take classes in video, audio, photography, and graphics and design. You will attend seminars in digital engagement including classes in social media for journalists. You will also complete three short courses in the essentials: law, ethics, and the fundamentals of journalism. A culmination of the skills and essentials modules comes about when students begin to produce journalistic work on a daily basis for the duration of the programme. Students will put out video broadcasts and podcasts, available to stream live. This work is produced under the mentorship of their pathway instructors. Students are encouraged to compete with local and national media houses on getting scoops and putting out content on our news portal that meets the highest professional journalistic standards. The second term allows you to take classes in your areas of interest where you begin to specialize in beats. Our beat specialisations are: (i) Politics & Society; (ii) Business & Finance; and (iii) Arts & Culture. This includes four weeks devoted to digital training, and for six weeks you'll be assigned a beat to learn reporting methods such as how to gather and evaluate information, how to interview people, and how to tell a compelling story in your area of specialisation. The final term will combine practical work at NSoJ with external work experience gained through a structured and compulsory internship programme at leading news organizations across India. Each year ends with students working on individual projects that draw from their collective learning over the course of their study. These projects, delivered in broadcast or multimedia, serve as formidable additions to their portfolios. Mentors will help students showcase their work on live news portals. In this programme you will be trained for a career in traditional newspaper and magazine journalism as well as in convergence media, which is the future of journalism, combining print, photography and video into one digital piece. You will take classes in deadline news, profile writing and feature writing. A culmination of the skills and essentials modules comes about when students begin to produce journalistic work on a daily basis for the duration of the programme. Students update our in-house news portal with the latest stories, analyses and videos written and created by them. This work is produced under the mentorship of their pathway instructors. Students are encouraged to compete with local and national media houses on landing scoops and putting out content on the news portal that meets highest professional journalistic standards. The second term allows you to take classes in your areas of interest where you begin to specialize in beats. Our beat specialisations are: (i) Politics & Society; (ii) Business & Finance; and (iii) Arts & Culture. This includes four weeks devoted to digital training, and for six weeks you'll be assigned a beat to learn reporting methods such as how to gather and evaluate information, how to interview people, and how to write a compelling story in your area of specialisation. 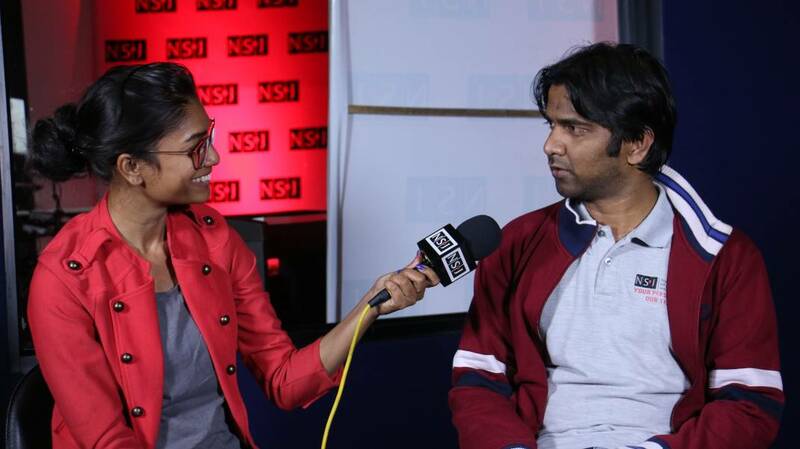 The final term will combine practical work at NSoJ with external work experience gained through a structured and compulsory internship programme at leading news organizations across India. Each year ends with students working on individual projects that draw from their collective learning over the course of their study. These projects, delivered in print or multimedia, serve as formidable additions to their portfolios. Mentors will help students publish their their finished work.